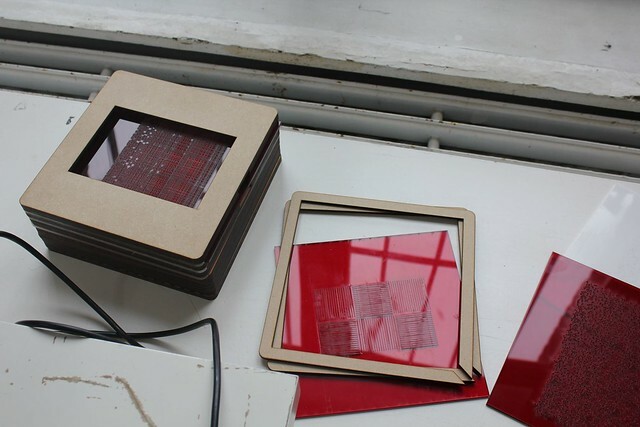 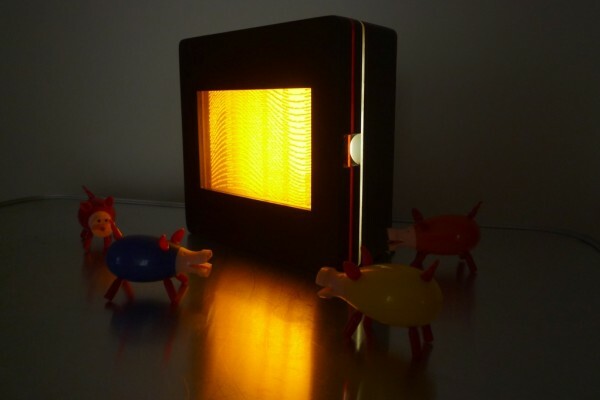 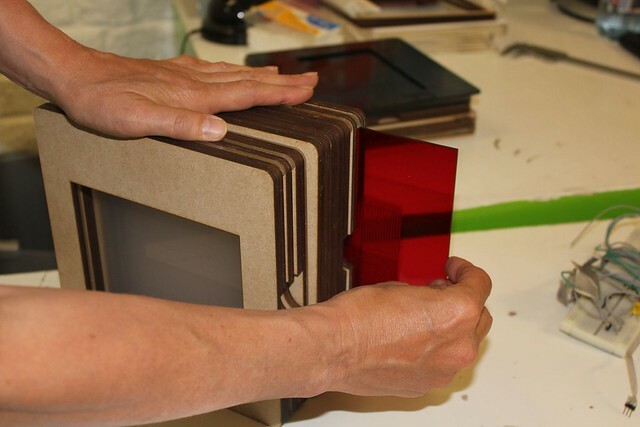 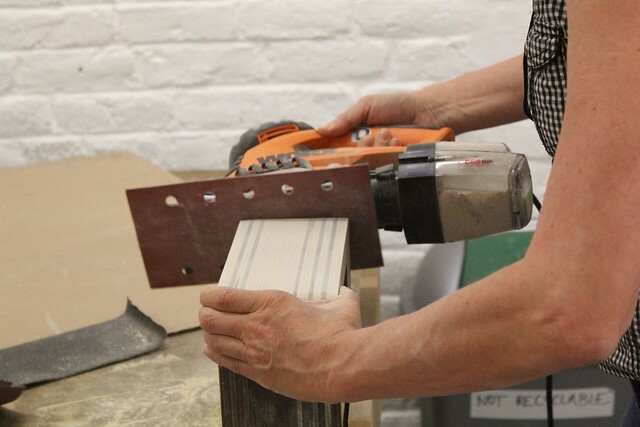 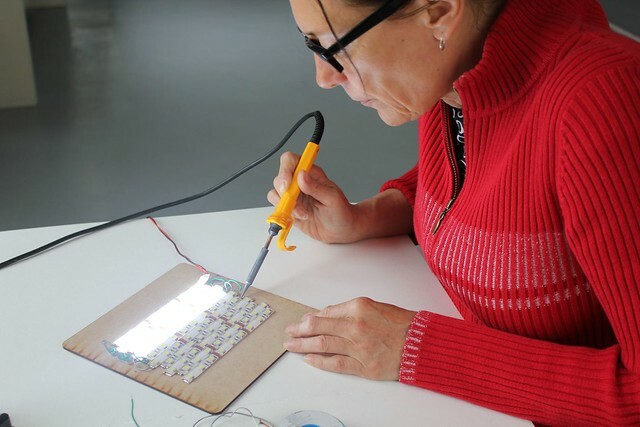 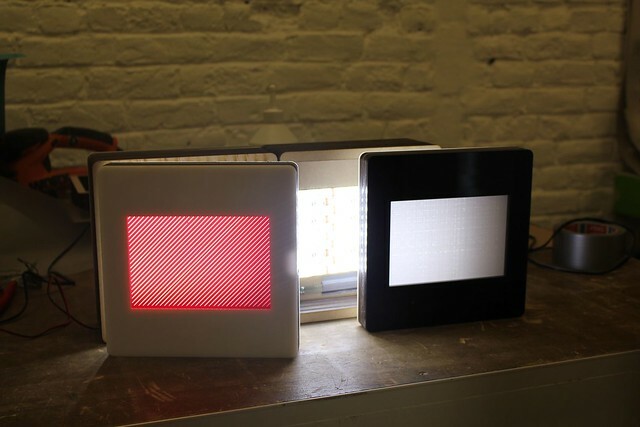 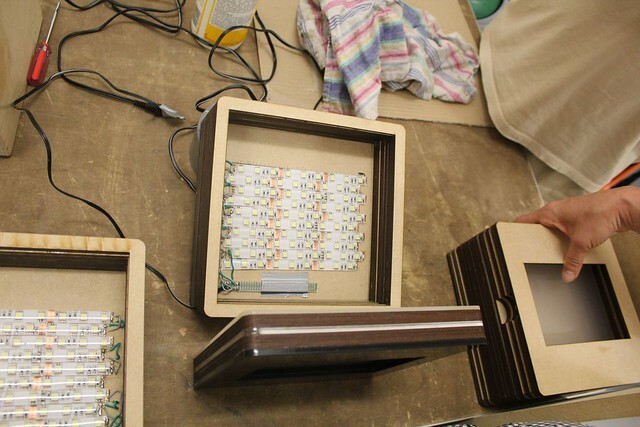 The artist wanted to create a lamp from gobos or slides in the continuity of her first residency and her exhibition "Gobo Gobo Hey" in April at iMAL. 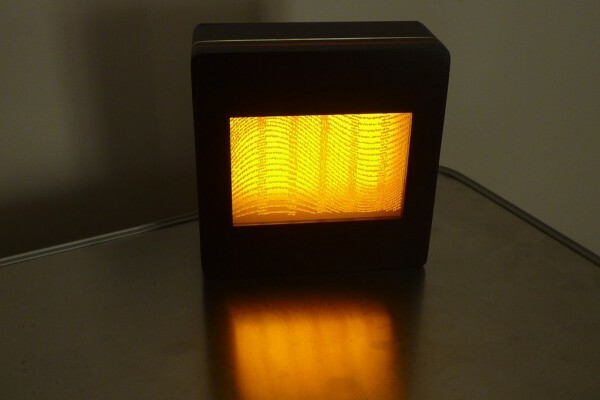 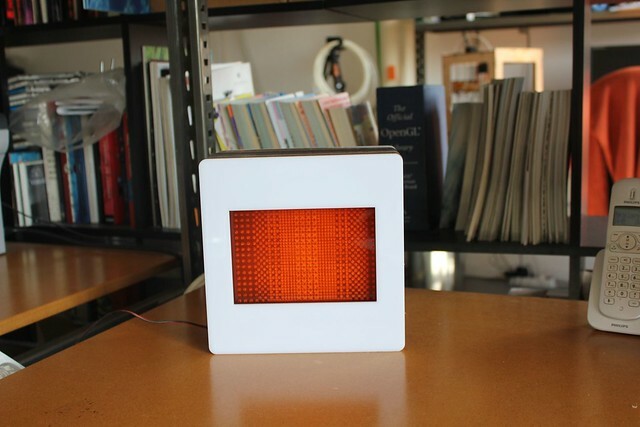 The design of the lamp refers to a slide (diapositive in French) by its general shape and its proportions (a squarred frame with a rectangular window in the middle of it). 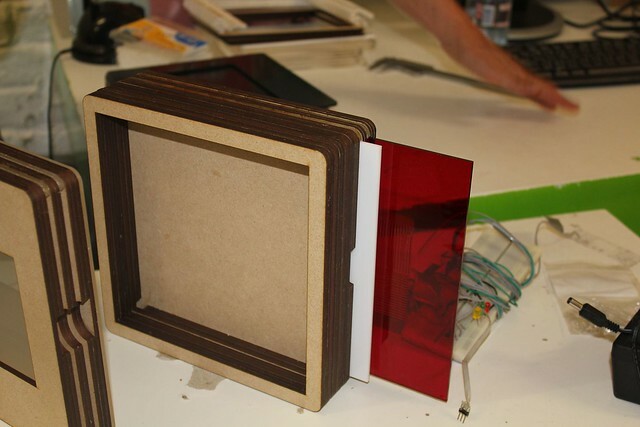 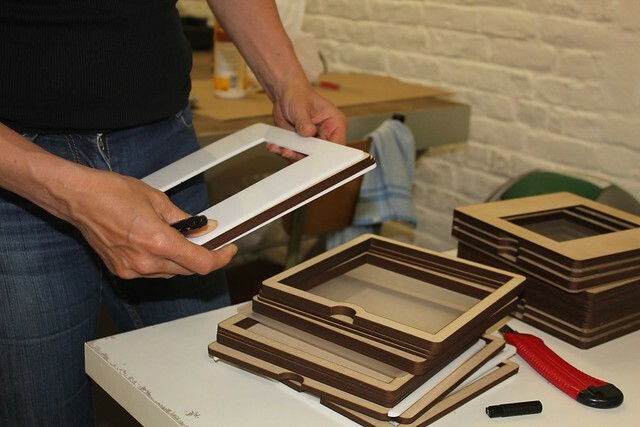 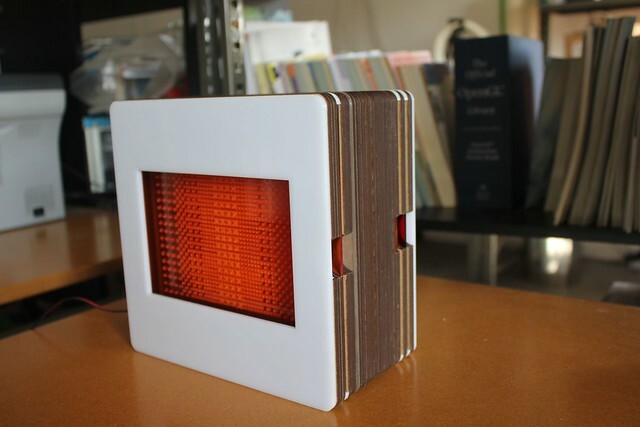 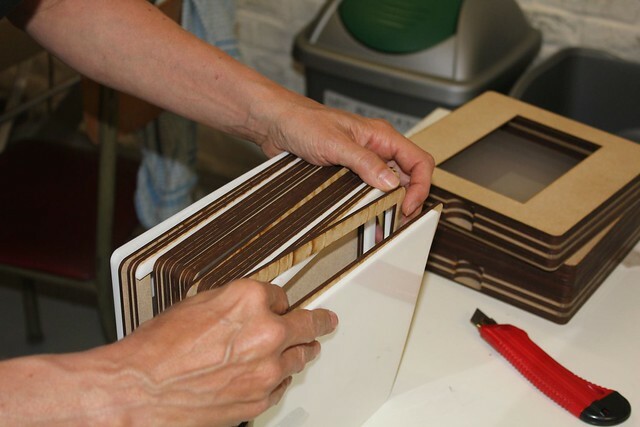 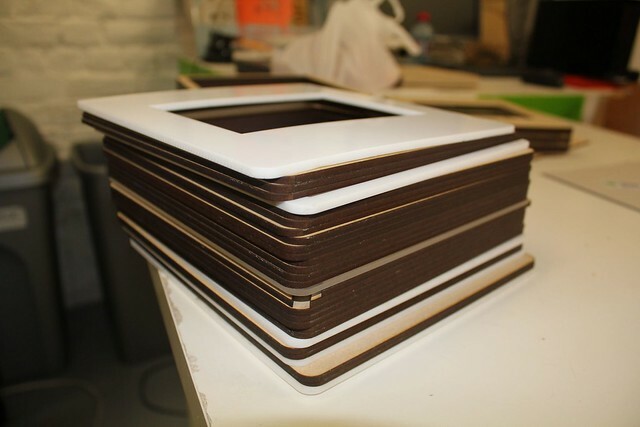 It is made from various plates in wood (MDF) and PMA (Plexiglas) stacked together, like a "mille-feuilles cake". 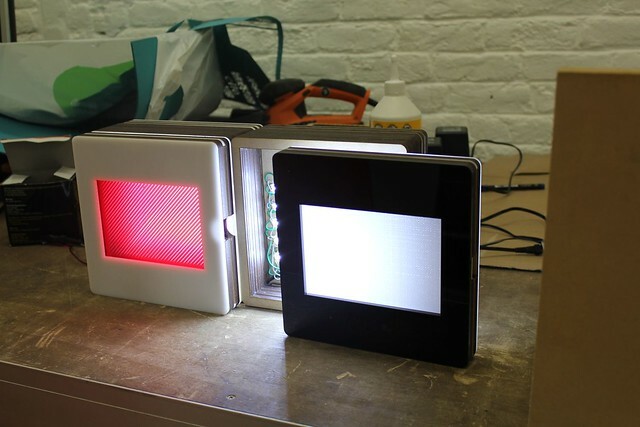 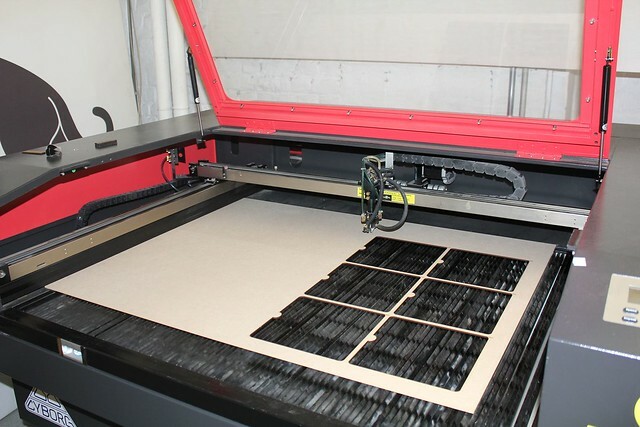 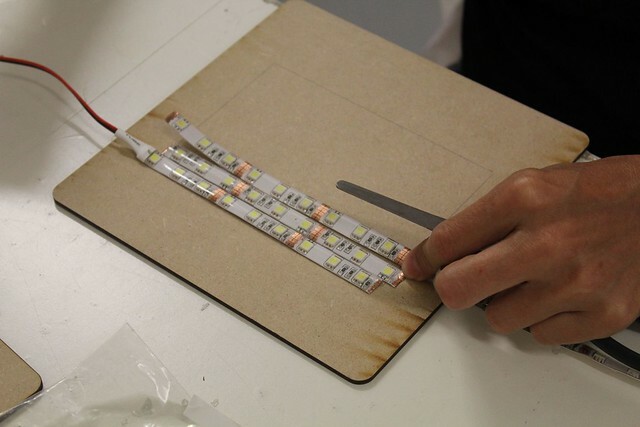 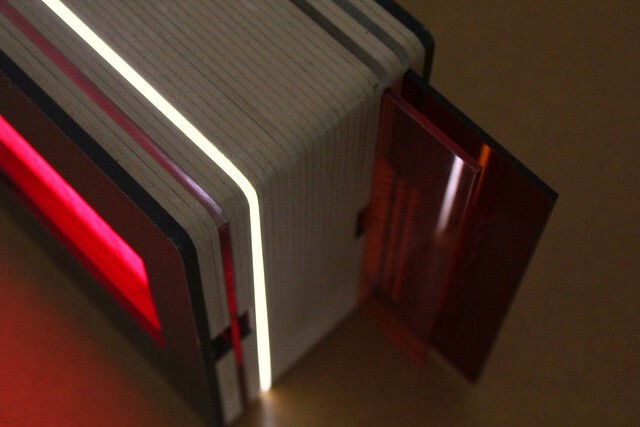 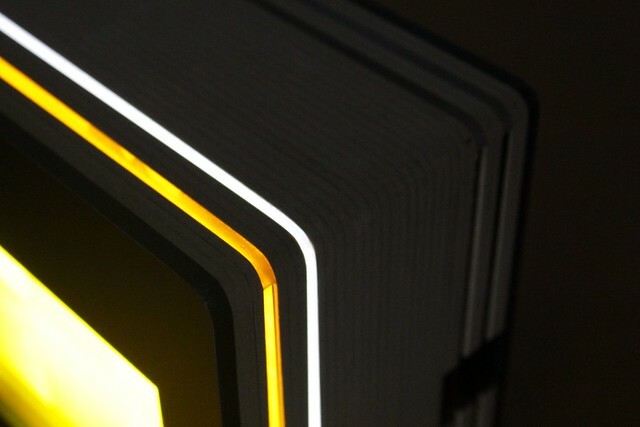 The light source is a grid of LEDs inserted in a middle plate. 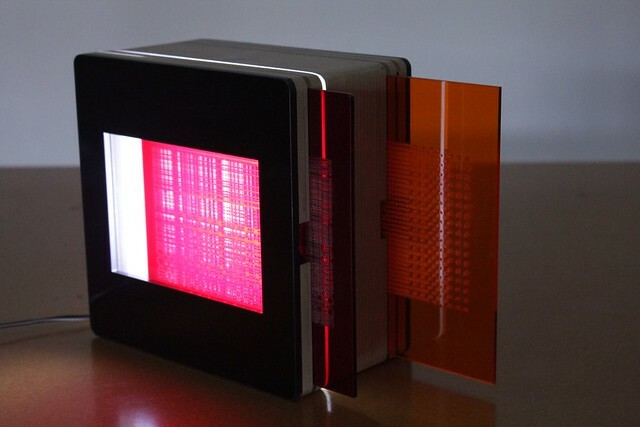 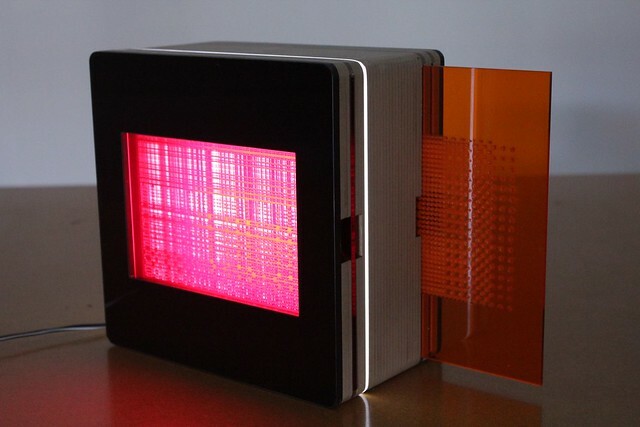 The DIAPO Lamp is modular and user configurable: each lamp comes with some gobos or slides in Plexiglas of different colors and patterns lasercut on the surface. 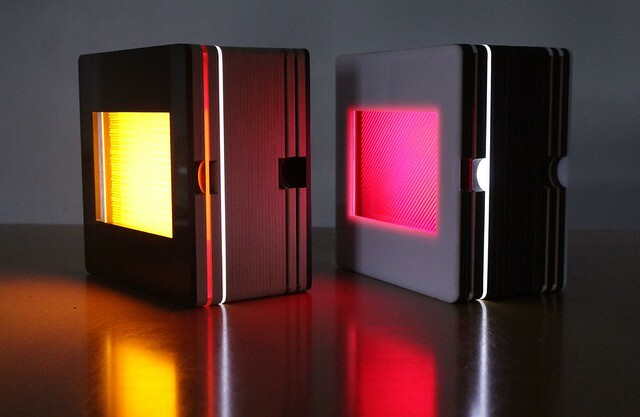 The user can choose which one to slide in front of the light source to define the light ambiance he/she wants. 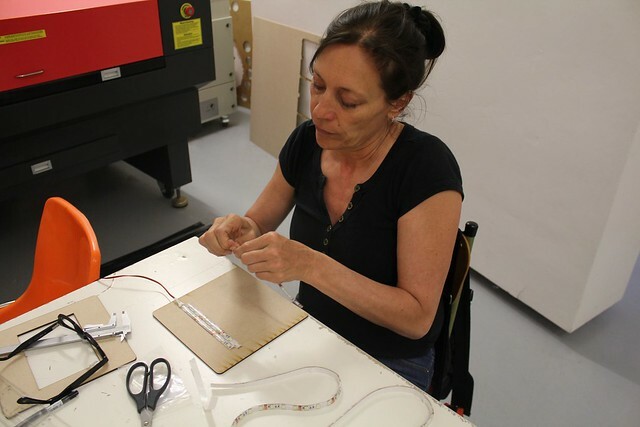 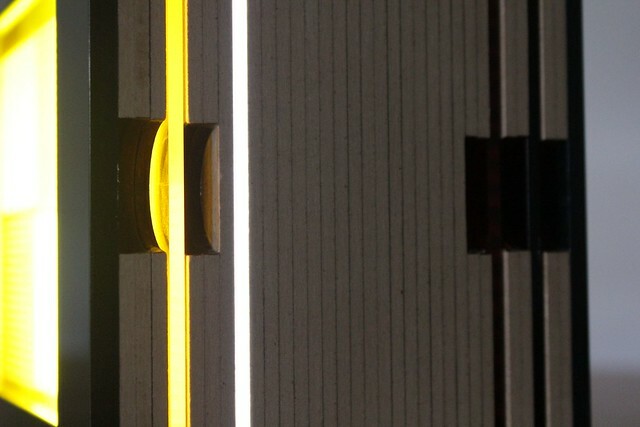 Cécile Babiole is inspired by the history of photography and its projection systems in the creation of her lamps.